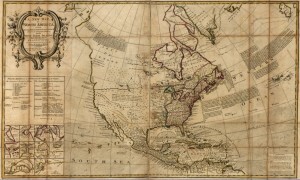 Figure 8.24 European perspectives on the northwest are made clear in this ca.1750 map by Robert Sayer. Is there a northwest passage through “Parts Unknown”? The mythical “River of the West” holds out some hope, as does all that terra incognita. The Napoleonic Wars, of which the War of 1812 was a part, barely touched the Prairie West. The Battle at Seven Oaks was an entirely separate event, one that reflected the isolation of the region from global events. Having said that, the region was fully vulnerable to global trade, and it was competition in Atlantic marketplaces that brought the HBC, the NWC, and their respective allies to blows in 1816. The theme of competing visions of the economy and orientation of the economy of the West was, in fact, to dominate debate and life on the Plains for the next 60 years. The consolidation of the NWC into the HBC left many of the Métis on the outside looking in. The fur trade’s best years, however, were behind it and the years ahead were nothing like those that had passed. The subsequent crash of beaver and, slightly later, bison populations brought to an end nearly a century of flourishing Plains cultures, culminating in some of the bloodiest wars in Canadian history and, thereafter, the arrival of a new imperial master from the east and the signing of treaties. Overall, we may characterize the history of the West and the North in the years from 1670 to 1870 as an age of Aboriginal dynamism and continuity and European/Canadian intrusion on an almost haphazard basis. It is one region in what is now Canada where we can observe Aboriginal agendas playing out over a sustained period of time without being drawn into intercolonial wars. The transformation of pedestrian and clannish people from the Hudson Bay Lowlands into a mounted and armed Plains cavalry capable of reaching far greater numbers and conducting dramatic raids and hunts across a huge range tells us two things. First, Aboriginal peoples were never static and always adaptable and that there is no single typology for historic Aboriginal peoples that suffices. Second, it shows how the world that Canadians encountered in the West in the late 19th century was a changed place, turning on a series of revolutions in social and economic organization. The Canadians who arrived on the scene in the 1860s and 1870s, however, would mistake what they saw for a timeless and primitive land of warring and starving Natives lorded over by an autocratic HBC. This unsophisticated view would lead the Canadians to make a series of fateful errors as they sought to expand their own vision of a unified British North America. Assiniboia: Synonymous with Selkirk Colony or Red River Colony. The Treaty of 1818 divided it at the 49th parallel, thereby reducing Assiniboia significantly. After Confederation and the creation of the province of Manitoba, the name was applied to a new regional administrative unit in the North West Territories. This District of Assiniboia ran horizontally across the southern Canadian Prairies and was bounded on the east by Manitoba, on the south by the 49th parallel and the United States, on the west by the District of Alberta, and on the north by the District of Saskatchewan. Battle of Seven Oaks: On June 19, 1816, a battle of two parties made up of HBC employees (including Governor Robert Semple) and Red River settlers against a party of Métis, Canadiens, and Aboriginals connected with the NWC. This was a violent chapter in the Pemmican War and was provoked by a food shortage and the HBC’s consequent attempt to control the movement and sale of pemmican. clearances: The consolidation of feudal lands to enable the building of greater sheep flocks that would thus feed the ravenous woolen industry in industrializing Britain. The Highland Clearances resulted in the displacement of large numbers of Scots, as did the Lowland Clearances, contributing to a massive out-migration in the 18th and 19th centuries. Columbia Express: Route connecting York Factory to the mouth of the Columbia River by combining the assets and knowledge of the HBC. Also called the York Factory Express. Dorset: The Paleo-Eskimo culture that existed in the Canadian Arctic from about 500 BCE-1500 CE. Succeeded by the Inuit Culture. Fort Astoria: Established at the mouth of the Columbia River in 1811 by John Jacob Astor’s Pacific Fur Company, Astoria was the first American position on the northwest coast. It was soon sold to the North West Company. Grand Couteau: Plateau in central North Dakota, the site of a key battle between Métis and Sioux bison-hunting parties. home guard: Middleman cordon around the HBC forts established by Aboriginal groups that had a prior claim to the territory. Ensured that they enjoyed first access to trade goods. Métis, métis: Capitalized, it refers to people of mixed ancestry (European and Aboriginal) who self-identify with a synthetic culture that evolved mainly around the Great Lakes and on the Plains. Not capitalized, it is sometimes used to refer to people in British North America (and sometimes in the United States) of combined European and Aboriginal ancestry. Michif: A hybrid language used by the Métis. New Caledonia: Technically the north-central part of what is now mainland British Columbia and an administrative centre at Fort St. James. In practice, “New Caledonia” was used to encompass most of (if not all) of the mainland colony. Nor’Westers: See North West Company. North West Company (NWC): A joint-stock fur trading company established in Montreal after the Conquest, led by British-American and Scottish merchants. The principle competition to the HBC. northwest passage: A searched-for water passage connecting the Atlantic with the Pacific. North-Western Territories: Lands draining into the Arctic Ocean and thus not within the charter of the HBC. Includes much of northern British Columbia and Alberta and what are now called the Northwest Territories and Nunavut. Numbered Treaties: A total of 11 treaties negotiated between Canada and Aboriginal peoples (principally in the West) in the post-Confederation period. Pacific Fur Company (PFC): Created by the New York-based entrepreneur, John Jacob Astor, the PFC established Fort Astoria on the northwest coast but lasted for less than three years as competition in the North American fur trade. pemmican: A food made mainly from bison meat and fat and berries, which was the staff of life for western fur traders and was literally the fuel that drove the fast-moving, long-distance NWC canoe brigades. Pemmican Proclamation: Imposed by the Red River Colony when famine threatened the settlement in mid-winter 1814, issued by Governor Miles Macdonnell (1767-1828). Was meant to stop the export of pemmican to NWC forts in the West and retain it for the HBC’s settlers. Red River Colony: Selkirk Colony, also called Assiniboia. Red River cart: Two-wheeled vehicle with large spoked and detachable wooden wheels on an axle supporting a flat-bed. Sometimes covered, usually pulled by oxen. Wheels could be removed to enable floating as a raft across rivers and streams. Definitive technology arising from Métis culture. Rupert’s Land: According to the HBC’s charter of 1670, all the lands draining into Hudson Bay. Includes northwestern Quebec, northern Ontario, most of Manitoba, some of central Saskatchewan and Alberta, as well as southeastern Nunuvat. Selkirk Colony: Red River Colony, also called Assiniboia. Thule: Arctic culture that evolved into Inuit culture. The Thule migrated across and occupied the Arctic mainland and islands beginning about 1000 CE and reached Labrador and Greenland ca. 1300 CE. Treaty of 1818: A treaty signed by Britain and the United States recognizing the 49th parallel from Lake of the Woods to the Rocky Mountains as the boundary between the United States and British North America; also established the Columbia District (a.k.a. Oregon Territory) as an area of joint jurisdiction for a period of 10 years. Upper Fort Garry: Located near the heart of what is now Winnipeg. Lower Fort Garry and Upper Fort Garry were important administrative and shipping centres along the Red River system. voyageurs: Members of fur trade business whose principal task was to move furs, people, and materials across great distances. Some voyageurs were also traders. whisky traders: Principally independent American fur traders whose principal stock was alcohol. wintering partners: The prominent NWC employees who spent the year in the West. As part of the decision-making process, they would meet annually with the Montreal agents at Fort William where company-wide plans would be made in council. Also called hivernants. XY Company: the New North West Company. Year Without Summer: The summer of 1816, marked by a very poor growing season caused by the explosion of Mount Tambora in Indonesia. York boats: Heavy wide draught wooden dinghies with sails that travelled between Hudson Bay and the foothills of the Rockies along the North Saskatchewan. York Factory Express: see Columbia Express. In what ways did the arrival of the Europeans in the late 17th century alter the way of life of Amerindians? 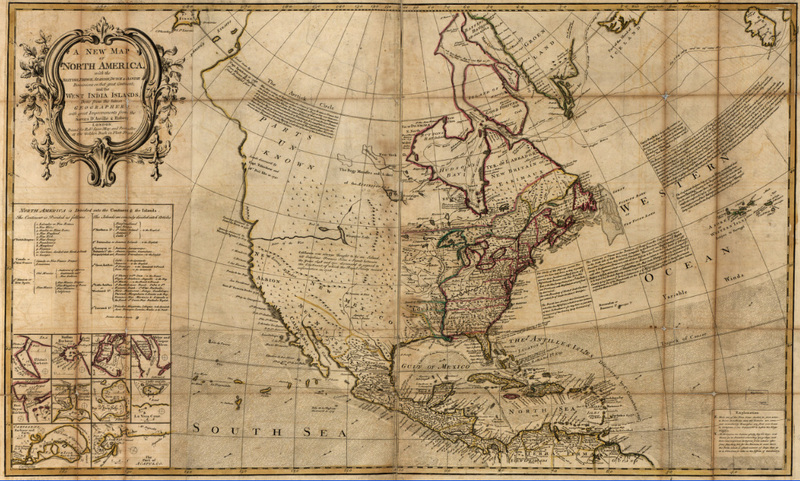 Explain the difference in the French and English approach to westward exploration in the 1700s. What were the motivations of Aboriginal traders in the West? What changes took place in Aboriginal societies, economies, and cultures during the 18th century? How were these connected to and/or independent from the arrival of Europeans and Canadiens/Canadians? What were the relative strengths and weaknesses of the North West Company and the Hudson’s Bay Company? What were the sources of violent conflict between the competing fur trade companies and their allies? What was pemmican and why was it important to the western fur trade? In what ways did the Métis constitute a “New Nation”? In what ways were they distinct from the country born in the 19th century? What roles did Aboriginal women perform in the western fur trade? Why did the North West Company and the Hudson’s Bay Company merge? What was the impact of the merger? What were some of the environmental and demographic consequences of the fur trade? What strategies did Aboriginal societies adopt in the face of changing circumstances? What is the significance of Seven Oaks and Grand Couteau in the history of the Métis nation? Macdougall, Brenda and Nicole St-Onge. “Rooted in Mobility: Métis Buffalo-Hunting Brigades.” Manitoba History 71 (Winter 2013): 21-32. Peers, Laura. “‘Almost True’: Peter Rindisbacher’s Early Images of Rupert’s Land, 1821-26.” Art History 32, no.3 (June 2009): 516-544. Podruchny, Carolyn. “Unfair Masters and Rascally Servants? Labour Relations Among Bourgeois, Clerks and Voyageurs in the Montréal Fur Trade, 1780-1821.” Labour/Le Travail 43 (Spring 1999): 43-70. Van Kirk, Sylvia. “From ‘Marrying-In’ to ‘Marrying-Out’: Changing Patterns of Aboriginal/Non-Aboriginal Marriage in Colonial Canad.” Frontiers: A Journal of Women Studies 23, no.3 (2002): 1-11. Terra Incognita by Leiris202 is used under a CC BY-NC 2.0 license. 8.12 Summary by John Douglas Belshaw is licensed under a Creative Commons Attribution 4.0 International License, except where otherwise noted.